HI HOMEOWNERS! YOU DON'T WANT TO MISS OUT ON THIS AMAZING 3 BEDROOMS 2 FULL BATH HOME. WITH A TOUCH OF CUSTOM FEATURES, THIS HOME IS EQUIPPED WITH A DOWNSTAIRS MASTER BEDROOM WITH A CONNECTING ENTRY FOR GUEST, WOODEN TRAY CEILINGS, BAR TOP THAT IS READY FOR YOUR BAR STOOLS, 2 SPACIOUS UPSTAIRS BEDROOMS, WITH LAUNDRY ON THE SECOND FLOOR AND A NICE SIZE YARD ON THE BACK AND SIDE. ASK ABOUT 100% FINANCING WITH OUR PREFERRED LENDER LOAN PRODUCTS AND 1% LENDER CREDIT WHEN USING MOVEMENT MORTGAGE. Ready to visit 425 York? Request a free property tour! Send me more information about the listing at 425 York, Suffolk, VA 23434, MLS# 10239883. 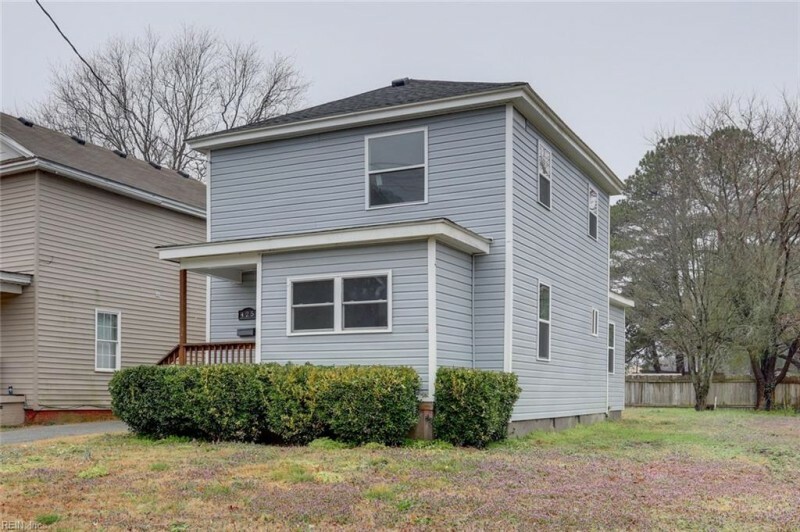 This 3 bedroom, 2 bathroom home located at 425 York, Suffolk, VA 23434 has approximately 1,176 square feet. It is currently listed for $135,500 and has a price per sqft of $11,522. This home is currently Under Contract under the MLS#: 10239883. This listing is provided by Victory Allegiance Realty Inc.
425 York Street, Suffolk was built in 1934. It has 2 Space, Off Street parking.The kitchen includes Dishwasher, Dryer Hookup, Elec Range, Refrigerator, Washer Hookup. 425 York is part of the Old Town Suffolk neighborhood located in 23434.